Chronic inflammation is an ongoing inflammatory response occurring from an unresolved insult. It results as a continuation of acute inflammation or arises de-novo (with the acute inflammatory response bypassed). Macrophages are the major phagocytic cell in chronic inflammation, acting to engulf and destroy foreign material and/or pathogens. They are derived from monocytes. 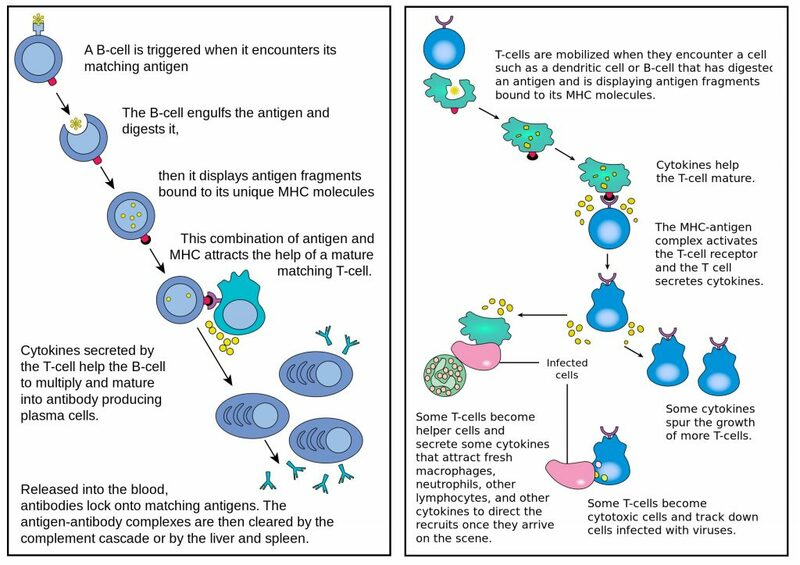 In addition to phagocytosis, macrophages act as antigen presenting cells (APCs), where there antigen presentation between innate and adaptive immune cells. This process allows for a more coordinated and targeted response from the immune system. A distinctive property of macrophages in chronic inflammation is their ability to fuse and form multinucleated giant cells (Fig. 1). They are produced in response to certain stimuli, such as a foreign body (foreign-body giant cell), mycobacterium tuberculosis (Langhans giant cell), or fat necrosis (Touton giant cell). Macrophages are capable of secreting growth factors, to aid cell repair and synthesise complement components, and cytokines, to help coordinate the immune response. In chronic inflammation, lymphocytes work in conjunction with APCs to process antigens, thereby coordinating a suitable inflammatory response. There are two main types, B lymphocytes and T lymphocytes. Neutralise microbes and toxins (binding to and blocking the harmful effects of the antigen), to prevent infective and toxic effects of the antigen. Promote natural killer cells to destroy targeted and tagged pathogens (antibody dependant cellular cytotoxicity (ADCC)). Facilitate easier phagocytosis by the innate immune cells (termed opsonisation). T helper lymphocytes (CD4+ cells) act to co-ordinate further targeted inflammatory responses, from both innate and adaptive immune cells. T killer lymphocytes (CD8+ cells) act to co-ordinate the targeted destruction of infected cells. Figure 2 – The roles of B lymphocytes (left) and T lymphocytes (right) in chronic inflammation. In chronic inflammation, macrophages and lymphocytes can combine to form a granuloma (Fig. 3), a means by which the immune system can ‘wall off’ an agent particularly resistant to destruction. 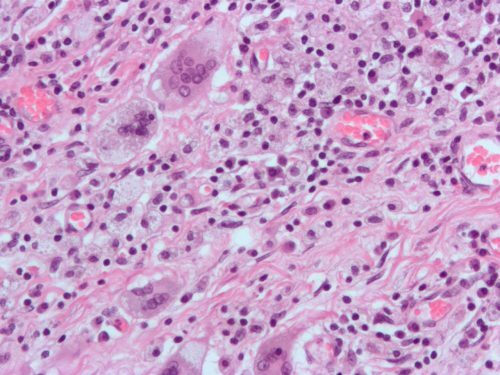 A granuloma contains a collection of elongated macrophages, termed epithelioid cells, surrounding a core of lymphocytes and giant cells attempting to break down the particles. 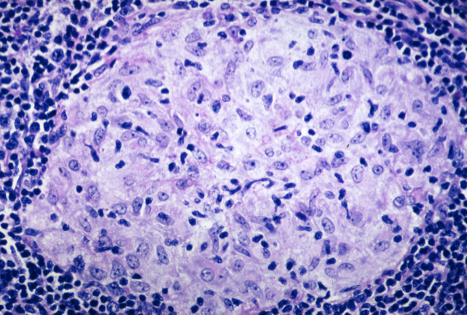 As granulomatous inflammation progresses, fibroblasts begin to lay down scar tissue, whilst the central core can become necrotic due to the release of enzymes (particularly seen in tuberculosis). 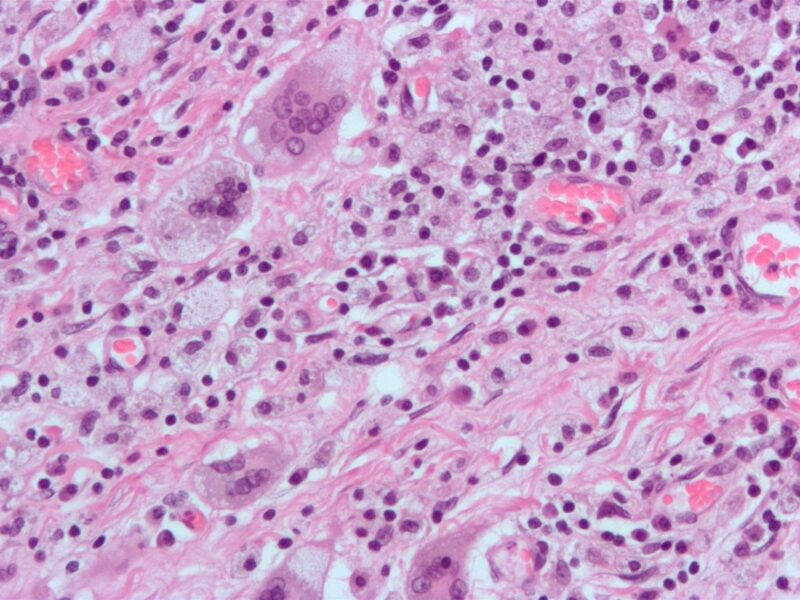 Macrophages and lymphocytes can combine to form granulomas, acting to ‘wall off’ any agent particularly resistant to destruction.